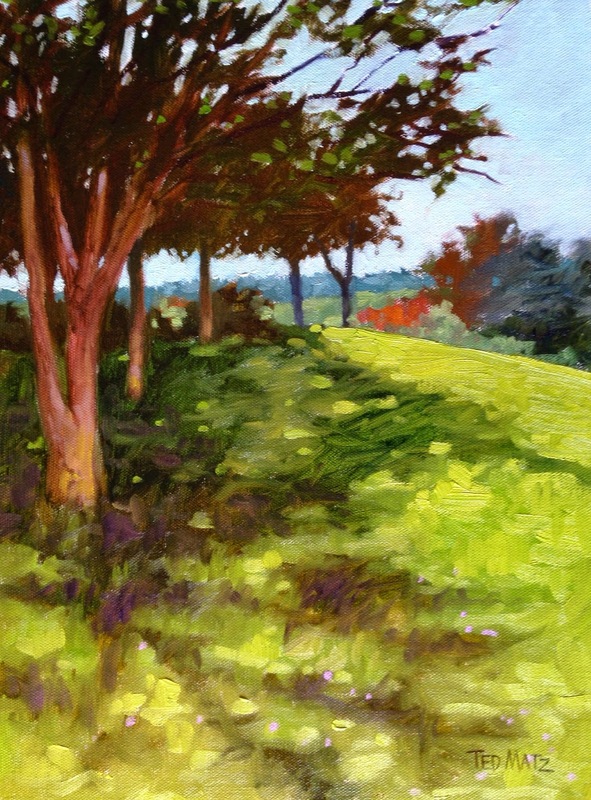 Please join me on a plein air painting adventure like no other. This workshop is designed to allow you to see the day-to-day life of the Cuban people, experience their culture in a very intimate way. The tour will have it’s own tour guide and private driver the entire time we are in Cuba. This will allow you to see and experience things that most tourist will never see. 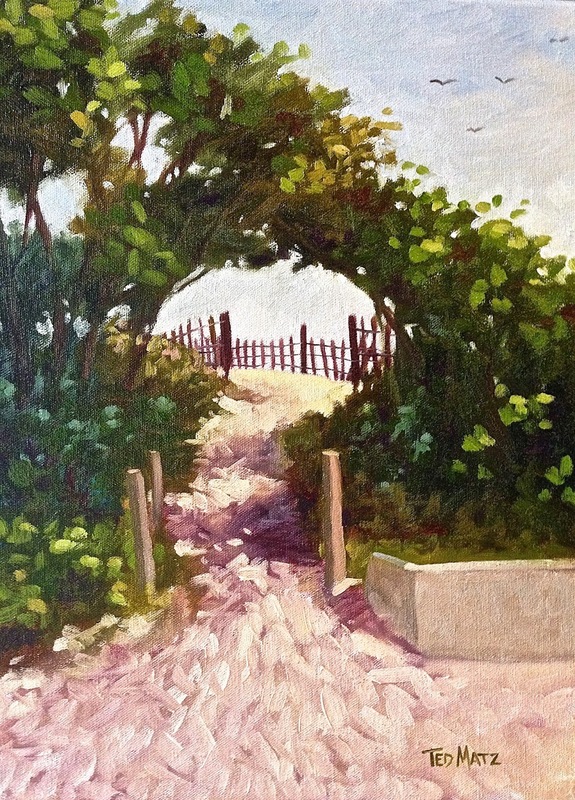 The painting experience will be varied, with options to paint urban scenes as well as the beautiful rural landscape. SIGN UP NOW WHILE SPACE IS STILL AVAILABLE. 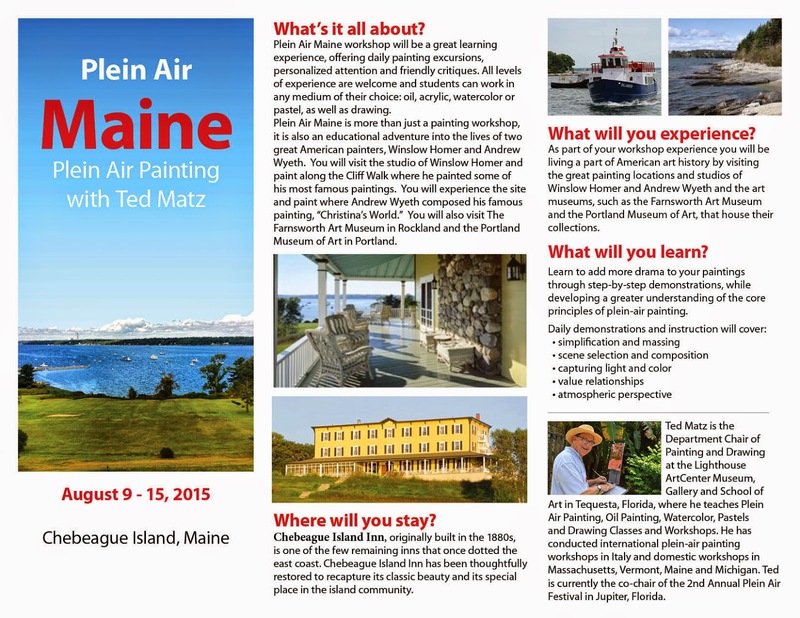 Please join me for my workshop on August 9-15, 2015 that I am teaching in Maine. 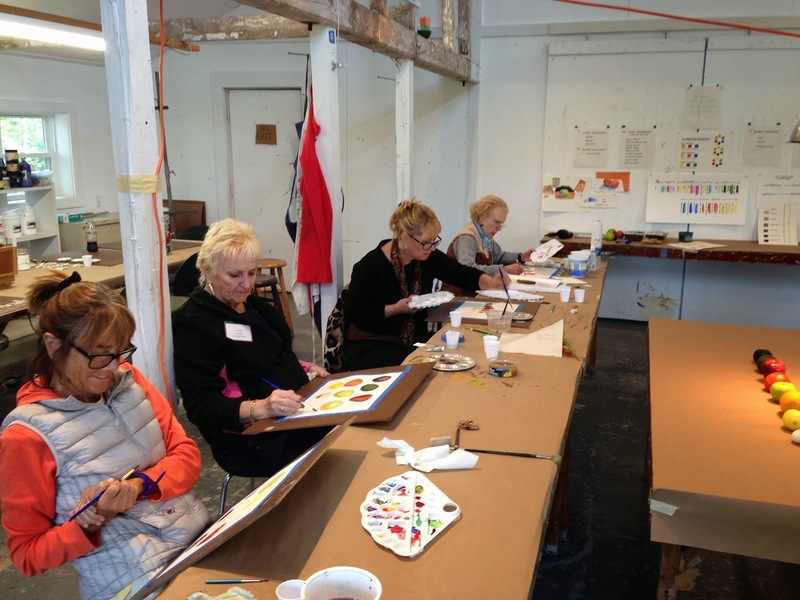 The workshop was coordinated with an art historical perspective, with emphasis on Andrew Wyeth and Winslow Homer, and was designed to give the participant a greater understanding and insight into their most important works. We will be painting in the locations that Wyeth and Homer painted and experiencing the same beautiful Maine landscape that inspired them. 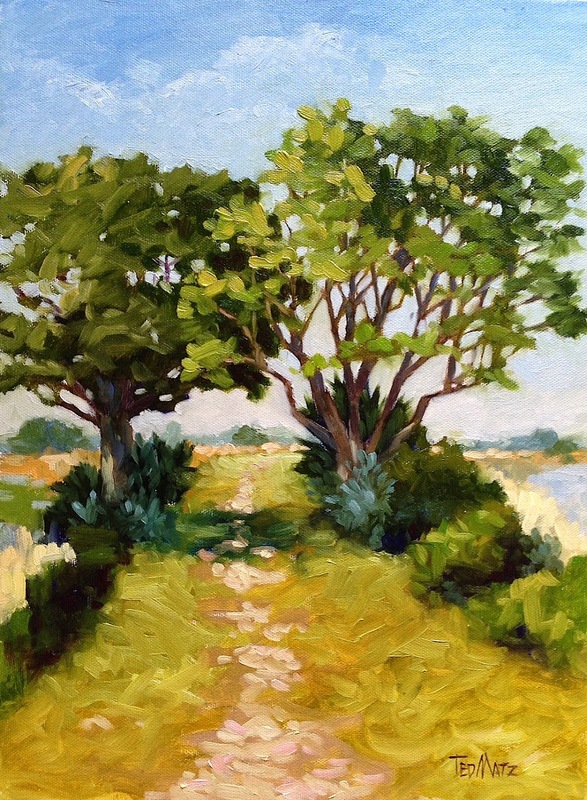 While looking for a spot to paint at the Loxahatchee Wild Life Refuge in Boynton Beach, Florida I saw these two trees that were way out on this small strip of land that was surrounded on two sides by marsh water. I loved the arch of the trees, the deep shadows and the perspective of the path that went way out into the distant horizon. While setting up my easel and getting everything ready, I suddenly realized that number one I was the only human being in sight out here in the wilderness and secondly there are alligators in these waters. After just a bit of panic I decided that I would face the danger square on and sacrifice my safety for the sack of my art. I really like this painting and it probably worked because I had to stop thinking so much and just paint (it only took 1 1/2 hours), or face the reality of possibly be eaten by some hungry alligator. Who says it is easy to paint in Florida! While everyone out there was planning on how and where they were going to spend their Black Friday, I felt the need to take a road trip and contemplate the subject myself. So I got in my car and drove along the ocean to help clear out some space in my brain, when I came upon a site that I just had to paint. It is a spot that surfers use to get out to the waves in a hurry since it is located so close to the ocean and the parking lot. I like it because it implies the water but you can’t see the ocean. All you can sense is the ocean’s call. I never stick birds in my paintings because it always seemed a bit corny but this was the one moment it seemed right. I love the key hole that the sea grapes create and how it helps to draw you in and makes you wonder what is awaiting you on the other side. So on my journey to find out what I will do on my Black Friday I came up with the best alternative that I could come up with. While everyone’s at the mall I will be out in nature peacefully painting and recording its beauty without a sole around me. The weather is beautiful here in south Florida right now and today was exceptionally nice. Had a great morning painting at the Loxahatchee Wildlife Preserve. Days like today are a reminder of how lucky I am to be able to paint in this type of environment. Hope you enjoy my painting as much as I did painting it. Happy winter! 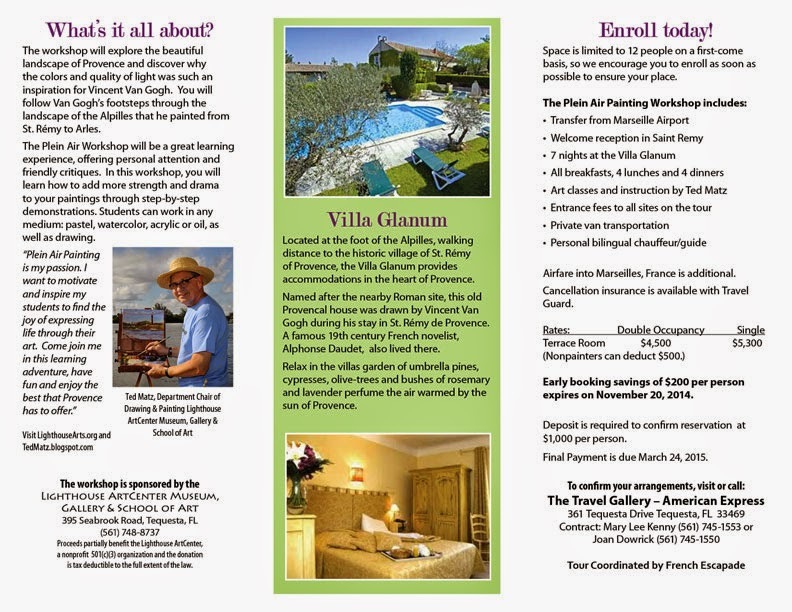 I would personally like to invite you to join me on an incredible art & cultural adventure in the heart of Provence. The plein air painting workshop I am offering will include very personalized painting instruction while exploring the south of France in the region around Arles and St. Remy. This is more than a painting workshop but an educational adventure into the life of one of the greatest painters of the modern era. The paintings that Van Gogh produced when working in Arles and St. Remy amounted to an immense breakthrough in his style and in the history of Western art. Just imagine painting in the same locations where Van Gogh painted some of his most important works, like the “Langlois Bridge”, “The Olive Grove”, the “Café Terrace At Night” and more. 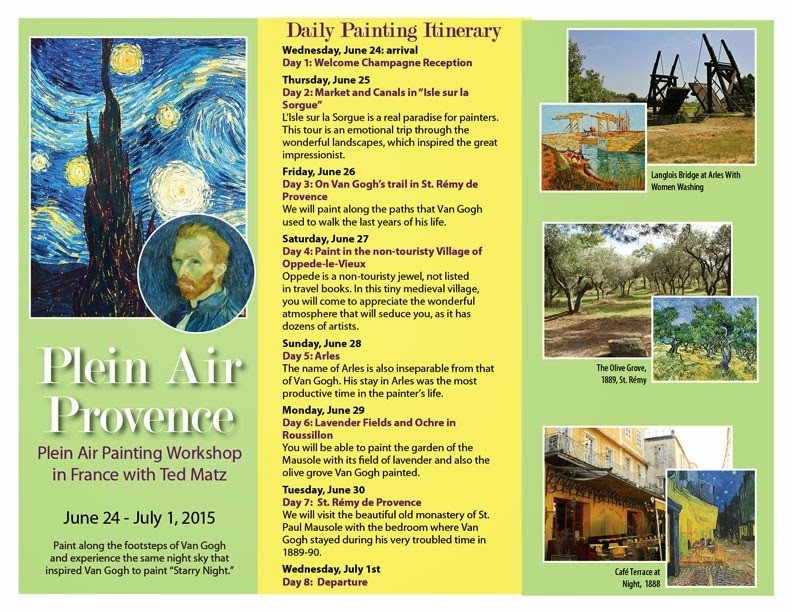 The workshop will be base in St. Remy at the Villa Glanum, which is located across from the asylum where Vincent Van Gogh lived and painted some of his most famous works such as “Starry Night”. The daily painting excursions will be coordinated and accompanied by our French program coordinator. Because she is a local, knows the area and speaks French, we will be able to experience the South of France from a truly insiders point of view. 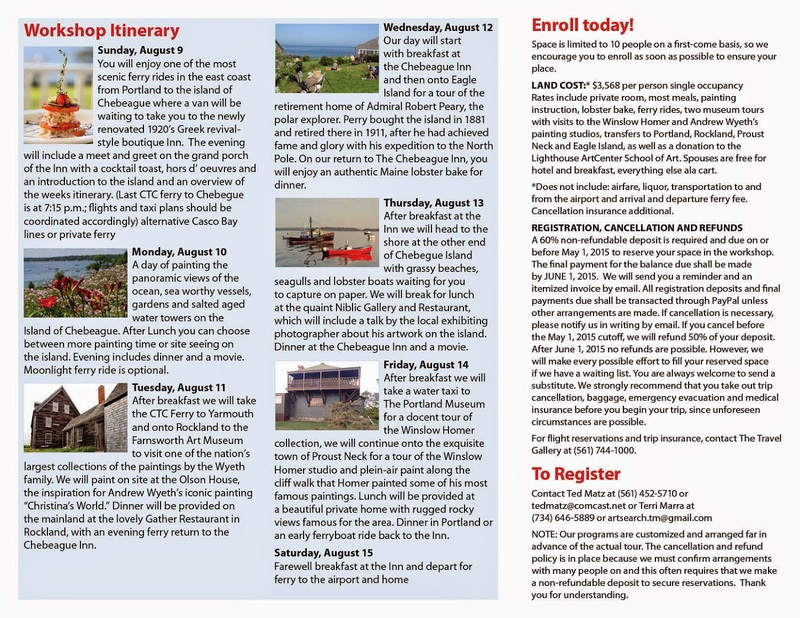 Please see the accompanying brochure that includes a detailed daily itinerary. Early booking savings of $200 per person expires November 20, 2014. Space is limited so, I encourage you to enroll as soon as possible to ensure your place by contacting Mary Lee Kenny at The Travel Gallery-American Express, 561-745-1553. I hope to see you in Provence! I think that Maine has gotten in my blood. I truly miss it and its only been a short while. 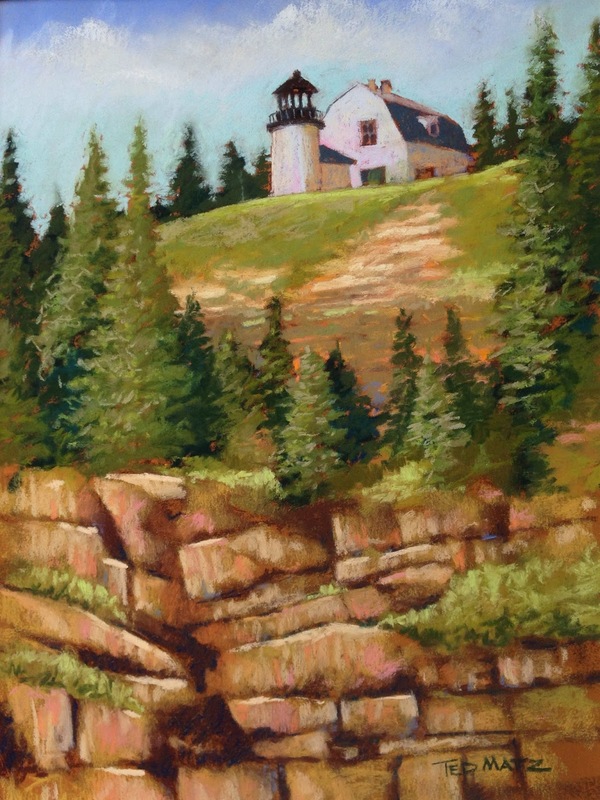 When I was in Southeast Harbor, Maine I took a boat ride and saw this lighthouse and was taken by it. I worked in pastel trying to capture what I had seen that day. Since I live in Florida it is a real treat to be able to work on a piece that has such extreme perspective. 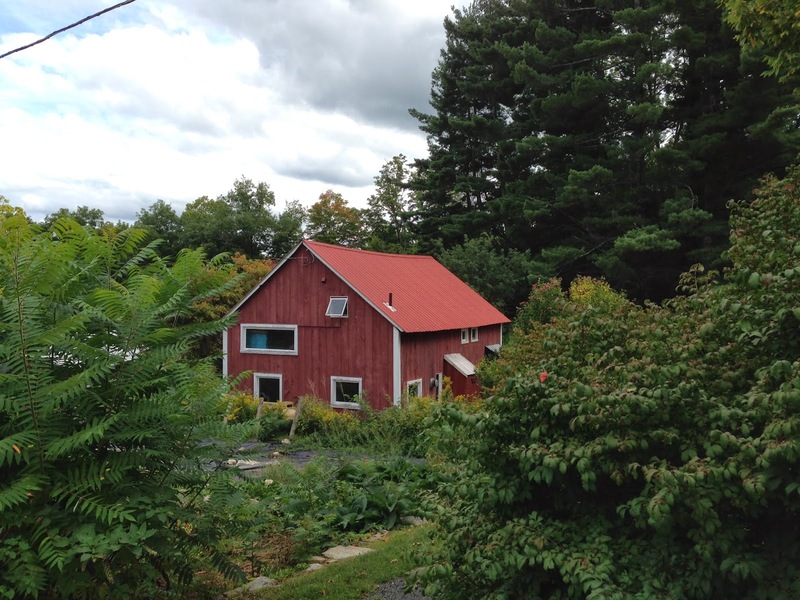 I think that is what I miss most about not being in Maine and that is the scale and the drama of the landscape. Enjoy! 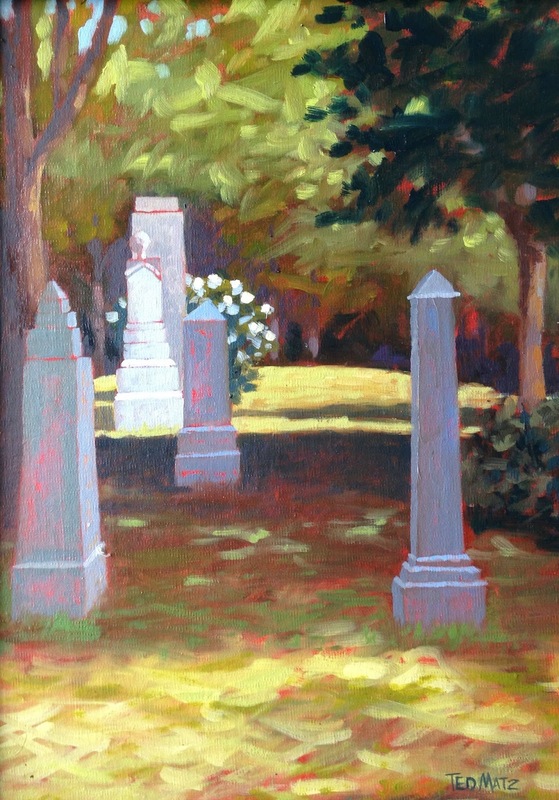 Not sure I included this oil plein air painting that I did at the cemetery at Somesville, Maine in my previous post. Not a typical place to paint but I couldn’t help it, it was just a very beautiful spot. I especially like the hydrangea’s that set off the tombstones in this painting. 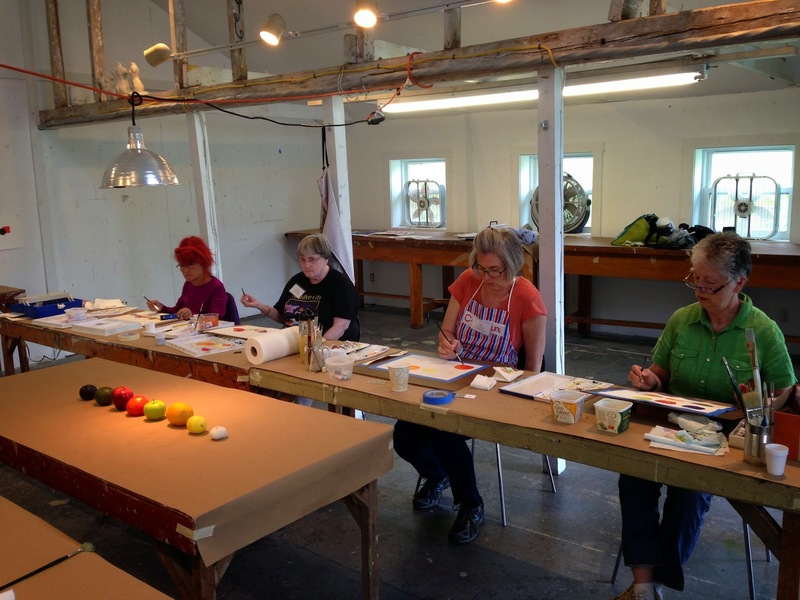 I just got back from giving my watercolor workshop at SnowFarm in Massachusetts. Below are some photos from that journey that includes a two shots of my wonderful students that attended. If any one has a chance to spend of week at SnowFarm it is an experience that you will not forget. It is a wonderful experience to spend a week immersed in your art making, meeting new people and just having a good time. 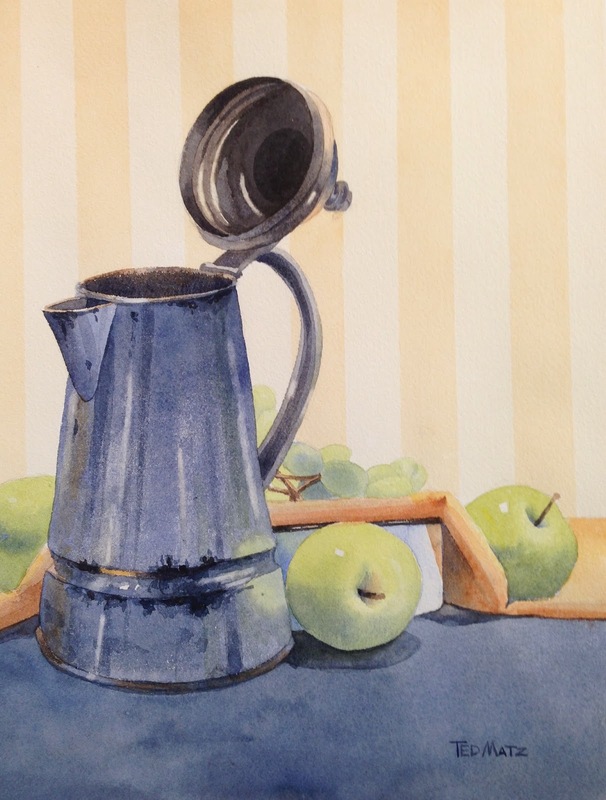 Below are two paintings that I did to illustrate principles that I was teaching. People relate the most to the contrast of lights and darks. The greater you can stretch those values the more the viewer will respond. The greater you can stretch the contrast of temperature within the work the more people will also respond. Hue is the least important of the three. The inexperienced artist always spends way to much time trying to match color exactly as it is seen. 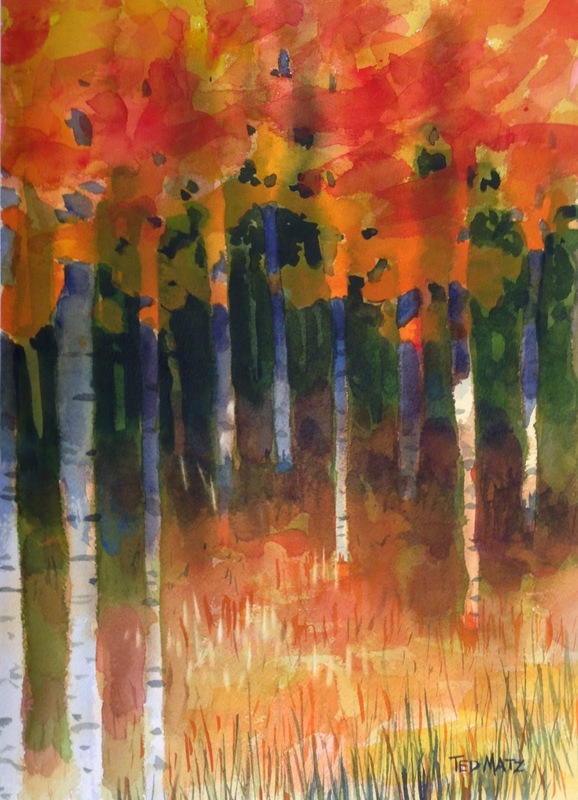 Through value and temperature one can give the work its emotional language that the viewer can read.